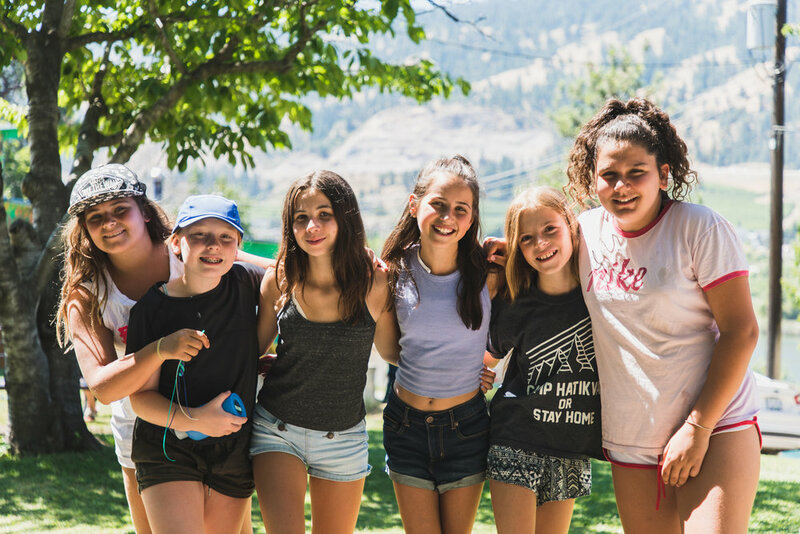 With a rich heritage dating back over fifty years, Camp Hatikvah has earned a reputation as one of Canada's premier Jewish and Zionist Camping experiences around, and not to mention - one of the highest rated children's summer camps in all of British Columbia. Every summer, Camp Hatikvahoffers campers from Grade 1 to 9 an exciting schedule of culture, athletics and arts - all within a Jewish and Zionist atmosphere. Camp Hatikvah is a non-profit organization operated by the Camp Hatikvah Foundation, and is affiliated with Canadian Young Judaea. Camp Hatikvah is located in the Okanagan region of British Columbia on over 40 acres of lakefront property. Camp Hatikvah provides a clean, comfortableaccomodation with sensational facilities for sports, water sports, arts and craft.s. Activities at Camp Hatikvah are designed to inspire, excited, and delight. The enthusiastic staff team are constantly developing new programs based on a variety of different resources. Over 28 years ago Liza began her journey as a camper at Camp Hatikvah. For eight consecutive summers, from a first year staff at seventeen to a twenty-four year old Assistant Director, camp was her obsession. Camp Hatikvah was the inspiration for Liza’s career path. After completing the Early Childhood Education program in Vancouver and attending the University of Western Ontario, Liza realized her two passions could co-exist; working with children and youth, as well as giving back to her own community. Liza’s first job was teaching Hebrew Preschool at the North Shore Hebrew School, Har El synagogue in West Vancouver and from there Liza became Primary Division Supervisor at a private school in New Westminster. In 1995, Liza began her ten year position with the Jewish Community Centre in Calgary Alberta. Liza worked her way up from Children’s Program Director to Assistant Executive Director of the facility. But if you ask Liza what job produced her greatest accomplishments, she would say, “giving birth to my son Shane, who is now 19 and my daughter Hanah who is 16.” Ten years ago, in 2005, Liza and her family moved back to Vancouver from Calgary to be closer to Liza’s parents. Her first year back in Vancouver, Liza worked for the Jewish Federation of Greater Vancouver in the Annual Campaign Department as the Director of the Women’s Division. In June of 2007, Liza was hired to continue her Hatikvah voyage – now as the Camp Director. Liza has a passion for jogging, the great outdoors and any sport activity – all activities that she first learned at Camp Hatikvah.